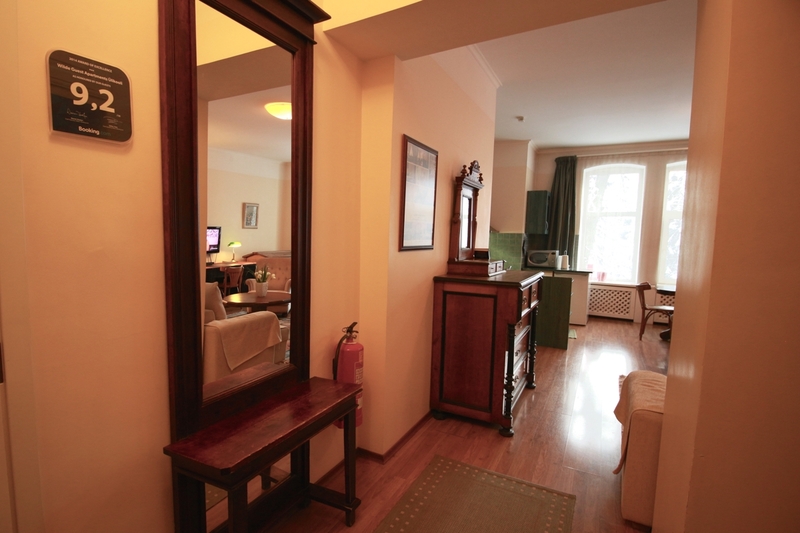 This stylish 57 square meter 2nd floor apartment blends old world charm with modern comfort. 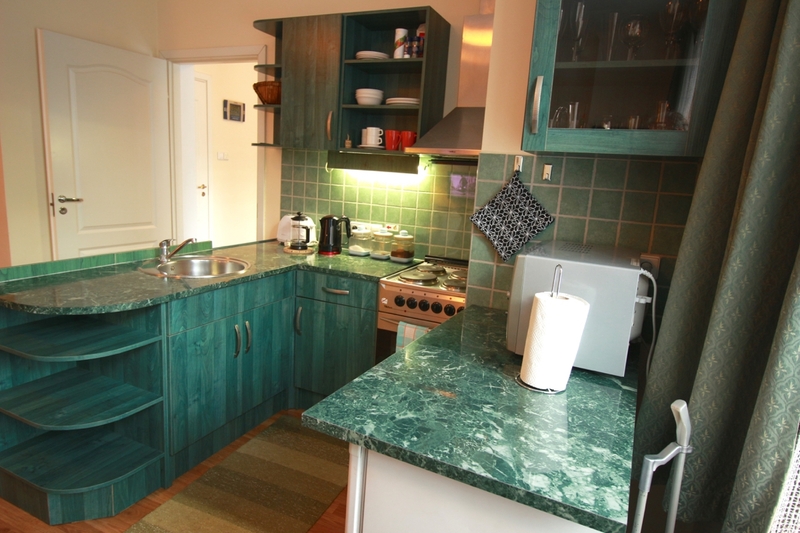 There is a large open plan living room which combines a fully equipped kitchen area. The Divan in the living room opens into a double bed. 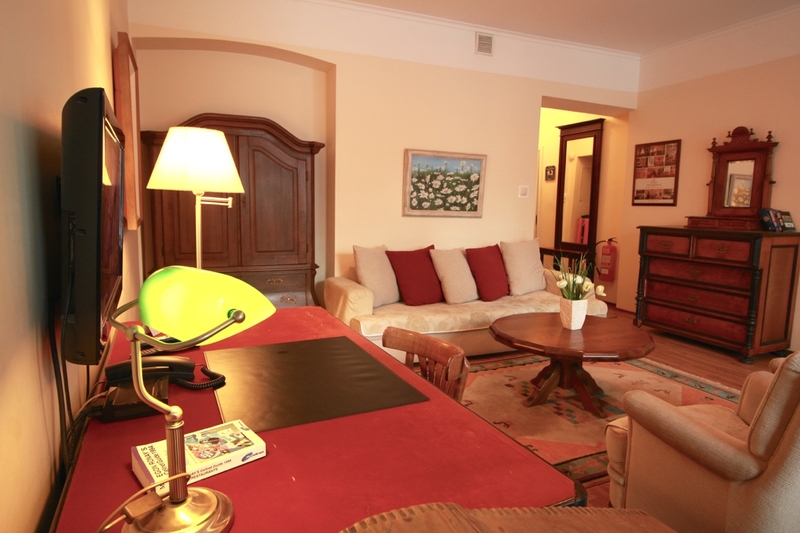 There is a large antique writing desk with high speed internet access, telephone and desk lamp. The relaxing area has a large divan, easy chairs, coffee table and satellite TV. 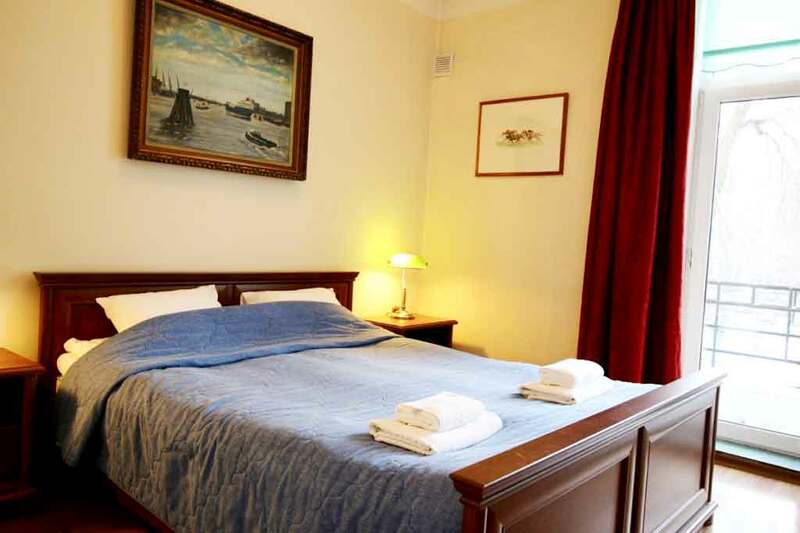 The separate bedroom has a large double bed and a balcony overlooking Barclay Square. 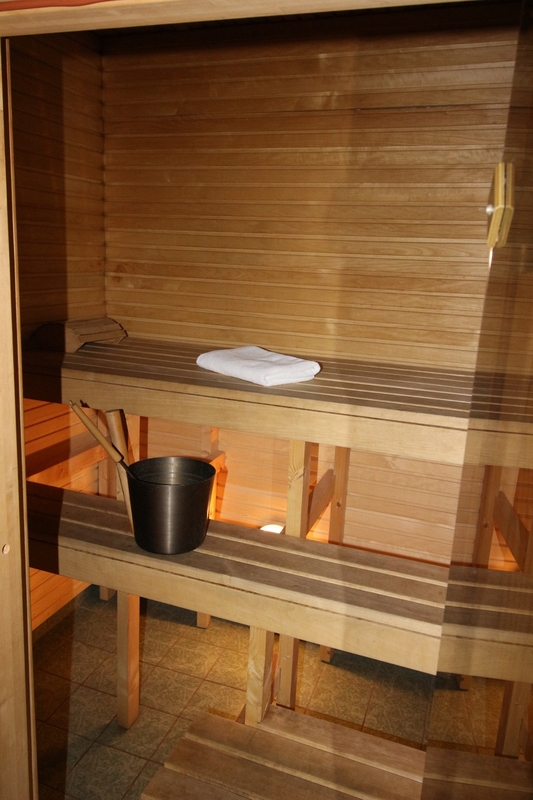 The bathroom combines a sauna with a full bath and shower. Only hotel standard white towels and bed linen are used. 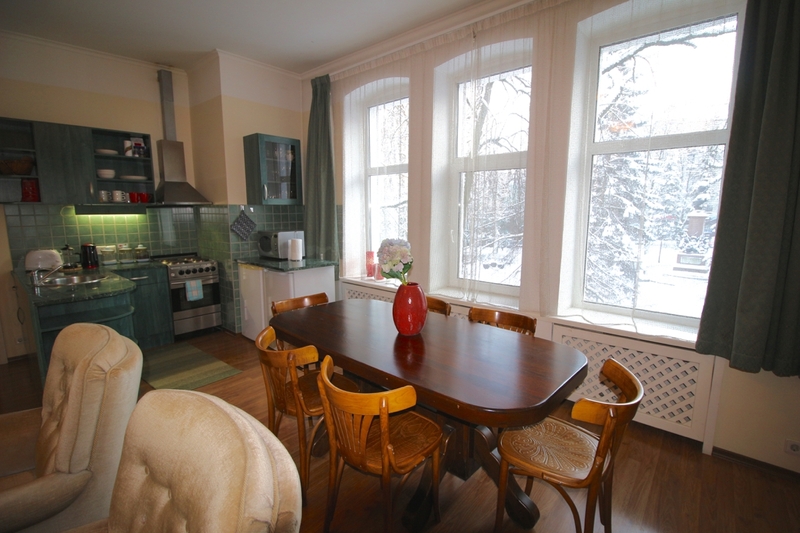 This apartment can cater for up to 4 persons.